"Soviet Order of Battle, WW2, Volume 3: Red Storm, Soviet Mechanized Corps and Guards Armored Units, 1942 to 1945. 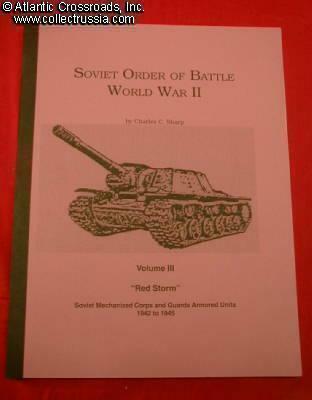 "Soviet Order of Battle, WW2, Volume 3: Red Storm, Soviet Mechanized Corps and Guards Armored Units, 1942 to 1945. " by Charles Sharp.